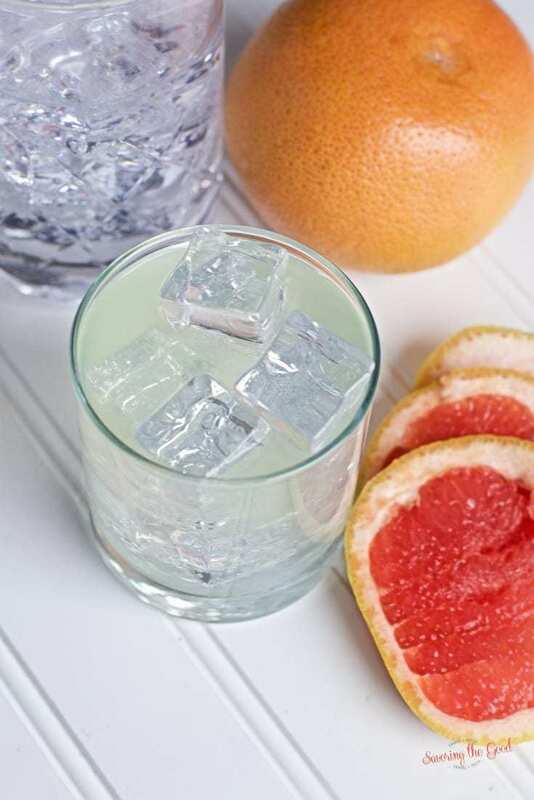 Making homemade grapefruit infused gin is super easy to make by the traditional method but when you need grapefruit infused gin in a shorter amount of time, try this sous vide method. Now that you have made a sous vide infused alcohol, the my recipe for homemade limoncello and cucumber infused gin both use the sous vide cooking method. I love a refreshing gin and tonic and experimenting with gin infusions has expanded the customization of my favorite gin cocktail. Sous vide infused gin is the fastest way I have found to make a custom infused gin. I would love to have a citrus tree in my back yard. But I live in Pennsylvania and that just isn’t happening. For 4 ounces of grapefruit infused gin peel just the zest off of the grapefruit. I am using a 4 ounce canning jar for this grapefruit infused gin recipe. But the beauty of sous vide is that you can also use a zip top or food saver bag to do the infusion. Place the grapefruit zest in the canning jar or bag. If you are using a zip top bag, be sure to use a clip to secure the bag to your sous vide cooking container. If you are making a larger batch of infused gin, I recommend the zest of 1/2 a grapefruit per 4 ounces of gin. Just my suggestion. I am using bottom shelf gin for this recipe. Add 4 ounces to the canning jar with your layers of grapefruit zest. Place on a lid and a ring. Finger tighten. If you are using a bag with out sealing it, use the water displacement method of closing the bag and removing the air. Set your sous vide to 150 degrees Fahrenheit. Once the water has come to temperature, place the jar or the bag in the water and process for 2 hours. Once the 2 hours is up, strain out the grapefruit infused gin and store in an air tight container. I pour 1 ounce of grapefruit infused gin over ice and top the glass with tonic water. Making homemade grapefruit infused gin is super easy to make by the traditional method but when you need grapefruit infused gin in a shorter amount of time, try this sous vide method. I love a refreshing gin and tonic and experimenting with gin infusions has expanded the customization of my favorite gin cocktail. Sous vide infused gin is the fastest way I have found to make a custom infused gin. This looks very refreshing! Thanks for the tutorial.